I saw the original idea here and here for this hair bow organizer! I loved the idea, and decided to make it my own with a few little extras!! 2. 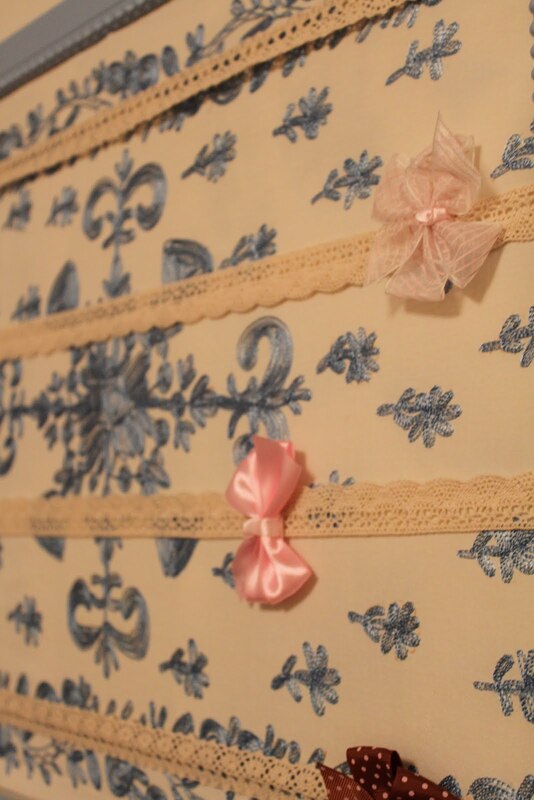 Get some ribbon, string, lace, etc. Whatever your heart desires. 3. Find a fabric that you love to make a decorative backing. Lace would be lovely. I found this little embroidered number at a local thrift store months ago. It was $.50. I had no idea what I was going to do with it originally but knew that I would use it for something! So glad I picked it up that day so long ago! 4. Prime your frame with spray paint primer. 5. Get your hot glue gun nice and hot. 6. 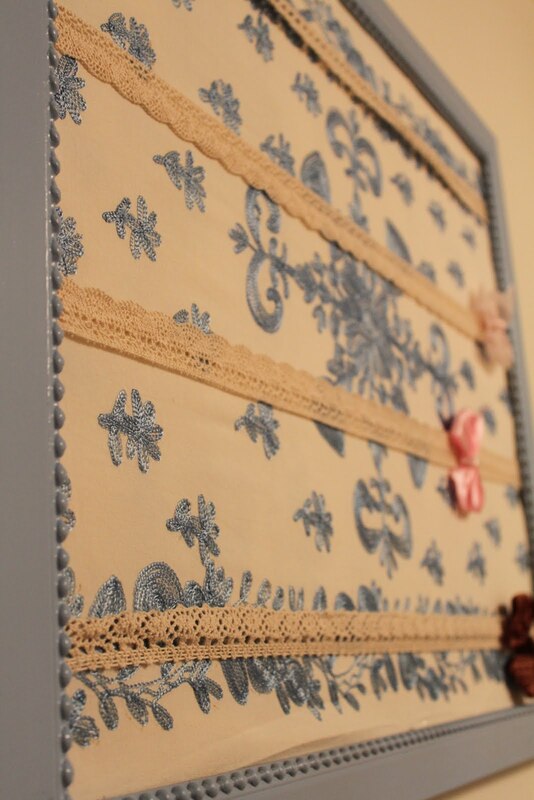 Measure where you want your lace, string, or ribbon so that it is spaced evenly and hot glue into place. It is super cute without the backing, but the walls in the kiddos' room are white and I wanted it to pop a little more. Plus I really wanted to use my awesome thrift store find to make it extra pretty! 7. Hot glue the edges of your fabric evenly in the frame. I kind of really like it! I am ALMOST done with the kids' nursery. I can't wait to make the grand reveal. That is all! I am so close! YAY! Great idea. Any thoughts on how to organize headbands? We've made one or two organizers, but nothing has worked as well as we'd hoped. How stinking cute is that?! I can't wait to make this for my little girl!